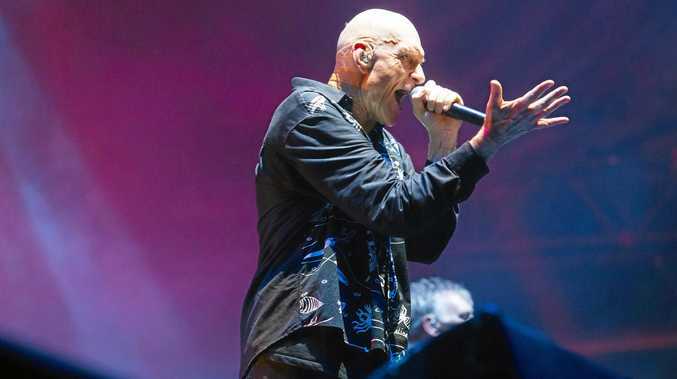 FOUR decades in the Australian music spotlight has done nothing to diminish the raw energy Midnight Oil creates on stage. 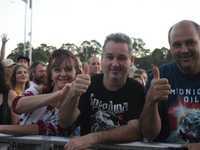 More than 8,000 audience members screamed with delight in Coffs Harbour as the legendary rock act performed hit after hit as part of the band's The Great Circle Tour. 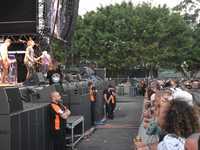 Appearing in almost all black, lead singer Peter Garrett had the audience practically eating from the palm of his hand as the Oils started the show with the opening two songs from the classic 10, 9, 8, 7, 6, 5, 4, 3, 2, 1 album. The moody Outside World became Only The Strong and from that moment the high energy drumming of Rob Hirst and driving bass of Bones Hillman had Garrett producing his famed dance moves that ignored the fact his bones are now 64 years of age. The memorable songs kept on coming with the group delving back to its earliest days then playing the songs that made the Oils one of the biggest acts in the world. The end of each number leaving the crowd calling out for more. All except one that was. 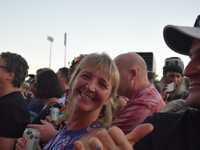 After half a dozen songs one crowd member was escorted out for drunken behaviour which led Garrett to make a speech about how they expect their fans to be courteous and have consideration for all. A message reiterated with a section of the UN convention in big letters draped above the stage reminding all that every human being is worthy of the same respect and rights. But those expecting a show full of political expression from a band so entwined with its message of better indigenous rights and a healthier environment would've been disappointed. 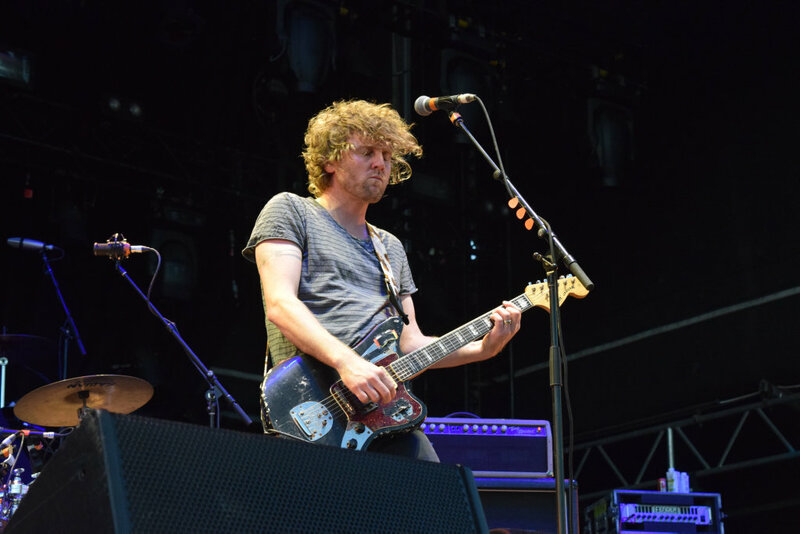 While Garrett let slip a few of his political thoughts now that he's no longer hamstrung by party policies, for the most part the band let their music do the talking. Forgotten Years finished off the show but it wasn't enough and the request for an encore was duly granted. If the open air venue had a roof, when The Power And The Passion was performed it would've well and truly been blown off. 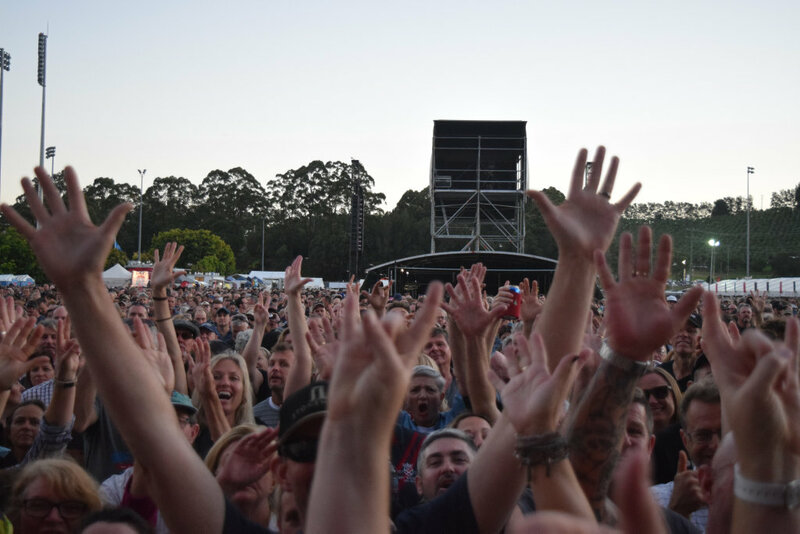 The die-hard fans who raced to the front row when the gates opened four hours before the headline act hit the stage weren't disappointed when the memorable show came to an end.